You’ve Tried Everything… The pills. The strict diets. The endless cardio. You’re looking for a weight loss solution that’s in it for the long haul. But most importantly, you want to feel great whilst losing weight and having boundless energy. If you’re ready to keep the weight off for good without resorting to a crazy exercise plan or expensive supplements, it’s time to try something different. Something that won’t leave you feeling tired, hungry, or irritable. What’s something that most of those other diet and exercise plans are missing? Accountability. Like your “new best friend”, the HCG Diet System is there to support you every step of the way – from your first order to surpassing your weight loss goal. While the HCG injections work to target those pesky abnormal fat cells, you’ll have a community of people just like you that are striving to reach their ideal weight and lifestyle. Join the countless happy customers that have used the HCG Diet System to slim down, get more energized, and live a healthier life. What Makes the HCG Diet System Different? One of the biggest complaints people have about other weight loss systems is how they make them feel. From hunger to pain to lethargy, the side effects often make the weight loss not even seem worth it. Even worse, it makes it harder to stick with the program. Dieting, rigorous exercise, supplements, and cosmetic surgery all have their downsides. These can include high costs, negative side effects, the inability to keep the weight off and more. With the HCG DIet System, you get healthy weight loss fast, without the side effects. No dangerous pills or formulas. No surgery, starvation, or strenuous exercise. No packaged meals or calorie counting. No uncomfortable, ineffective stomach wraps. Higher energy and less tiredness. Results in as little as 1 week! Affordability for the long term. An on-going community and support network. Life-long changes in your weight and overall health. It’s time to turn to a weight loss solution that works fast and leaves you feeling inspired, motivated, happier and more energetic than before. Learn more about the benefits of HCG injections on our Frequently Asked Questions page. Get weight loss that lasts. Try the HCG Diet System Today. Most people think that fat is, well, just fat. You know… that jiggly stuff around your tummy, arms, and thighs? But did you know that there are actually three types of fat in the body? Normal fats and Structural fats are needed by the body to keep it strong, functional, and healthy. Abnormal fats, on the other hand, are the guilty culprit of saddlebags, tummy rolls, love handles, and more. HCG injections work to attack the abnormal fat and turning it into energy and fuel for your body. This allows you to lose weight quickly without feeling a decrease in energy. Use HCG to target those trouble areas and turn your body into a fit, fat burning machine. Sometimes you just have to see it to believe it. Here’s how people are using the HCG Diet System to lose weight, get active, and live happier. “Can you believe how much I have lost in only 3 weeks …it’s amazing Look at my before pic and the pics now..I’m so so happy as I never thought I could lose weight On my hips legs etc I feel like a million dollars Thank you for convincing me that I could lose this weight with the HCG and I’m definitely going to be buying another months supply. I’m getting compliments from everyone. Write your own success story. Get started with the HCG Diet System Today. 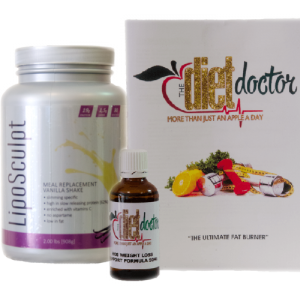 Does the HCG Diet System sound like the weight loss solution for you? We’re happy to have you! Buy your first month of slimming injections or drops online at our store. Contact Helen or Alexis directly with any questions – 7 days a week! We are passionate about building real relationships with our clients. If you have any questions or concerns, don’t hesitate to reach out. We are excited to be part of your weight loss journey! Burn the Kilos and Keep Them Off! Get started with the HCG Diet System today!